Best Buddies New York is looking for individuals to be involved with our WNY Programs Committee! Join us at 7pm the first Tuesday of every month starting October 2, 2018 to talk about all things Best Buddies. 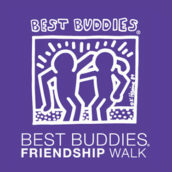 Email Kelly Gardner at KellyGardner@bestbuddies.org if interested in joining. 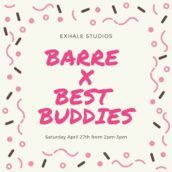 April 27, 2019 Exhale New York New York, NY Join Best Buddies and Lauren Chiarello for an afternoon of fun and fitness — a 60-minute Core Fusion Barre Basic Level. 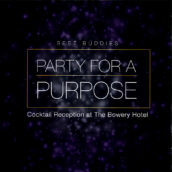 100% of the proceeds will support Best Buddies New York! 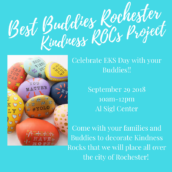 September 29, 2018 Al Sigl Center Rochester, NY Come and celebrate Eunice Kennedy Shriver and her legacy of kindness.